Did you know that the poppy is the official flower of August? It seems like a perfect official flower for a summer month, as it has a warm hue and petals that open up to the sun. The poppy has long played an important role in mythology, religion, and even politics. If you don’t know much about the poppy, read on to find out some fun facts and bits of poppy trivia. The poppy is often found growing wild along roadside ditches and other not-so-glamorous places. Which seems strange, given how stunning the poppy looks. Poppies been used as medicine for centuries and they have helped doctors treat many patients with a variety of ailments. In many cultures, poppies represent restful sleep and recovery, messages delivered in dreams, a vivid imagination, peace in death and eternal live, and beauty and success. Most countries share at least two symbolic meanings for the poppy. The poppy’s common name, Papaver, comes from “pappa,” the Latin word for milk. This is due to the white sap that drops out of the flower when the stem is cut. The poppy is one of the most widely used symbolic flowers in the world. The Greeks tied the poppy to sleep, probably because of Morpheus, their God of sleep. 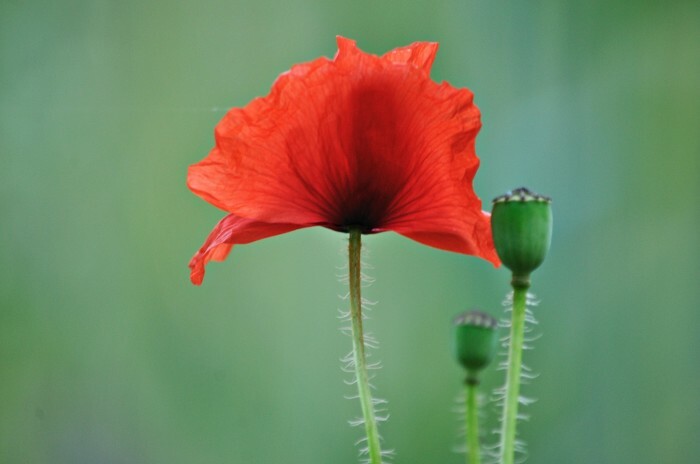 Ancient Egyptian Romans linked the poppy to sleep due to the sedative effect of the flower’s sap. In Chinese and Japanese cultures, the poppy is symbolic of deep and passionate love, but it also represents death. Europeans and North Americans tend to think of the poppy as a flower of remembrance, because of it’s like to World War I and II. Red poppies are thought of as flowers of death in the West. They symbolize love and success in the East. Need a flower for a funeral? In the East and West, you could choose white poppies to represent peaceful eternal sleep.